The Clifford Group has leveraged our own community and political resources, as well as those of RPS Klotz Associates, to raise visibility of the firm. Through strategic, deliberate and consistent efforts, we’ve created opportunities for the group’s top professionals to strengthen relationships with existing clients, potential clients and public officials. We’ve also helped bring industry recognition to RPS Klotz Associates by preparing winning project submittals for engineering competitions. Who doesn’t like that kind of spotlight? 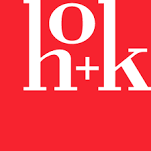 For the global architecture and design firm HOK, the Clifford Group has established connections and initiated strategic relationships to raise the visibility of the organization. We’ve taken the effort even further through use of targeted press releases, special events, and development and implementation of a social media marketing strategy. The Clifford Group has been working with Houston’s hometown airline, United, for several years to better position the carrier within the region. This effort has included building and further cultivating relationships with local elected officials and community and civic groups. The Clifford Group has become a go-to resource for the Port of Houston Authority’s public affairs department. We’ve spearheaded dozens of projects, including coordination of annual legislative tours and receptions at state and national levels; organization of three major national conferences; coordination of the grand opening of the Bayport Terminal; coordination of the 30th anniversary of the Barbours Cut Container Terminal; and announcement of the Port’s designation as a green coffee port by the New York Board of Trade. We also developed a brochure and e-newsletter to generate public awareness of the Beneficial Uses Group—a partnership of eight local, state and federal agencies (including the Port) collectively responsible for the creation of wetlands from dredged material in and around the Houston Ship Channel. It’s the largest wetland project of its kind in the nation, and provides a natural environment for birds, fish and other critters to flourish. The Clifford Group has worked with METRO for years, either directly or with other contracted consulting service providers. We managed the public involvement portion of METRO Solutions’ North-Hardy Planning Studies, ultimately resulting in voter approval of a comprehensive transit plan. Our role encompassed identification of outreach targets, involvement of key organizations, coordination of stakeholder meetings, and development of all project communications, including public notices, newsletters, a website and other tools. Following successful completion of the initial contract, we were retained to provide similar services for the project’s second phase, leading to preparation of a draft environmental impact statement. Since then, METRO has engaged us to develop connections with business leaders, create strategies for community engagement, and consult on special projects. The Clifford Group worked with American Traffic Solutions to present the company’s position on the red light camera issue to local elected officials. The effort included strategic messaging and a coordinated media campaign. When new transportation companies incorporating unregulated business models began entering the Houston market, the Clifford Group worked successfully with Yellow Cab, as well as the taxi and limo industry, to coordinate efforts at City Hall for institution of fair and uniform regulations for all vehicles for hire. In addition to shepherding this process, the Clifford Group managed ongoing marketing efforts for Yellow Cab, and has been retained to facilitate a rebranding effort for the organization.